Sanshin is done in the precincts of Meiji Jingu Shrine where the sunny leaves are beautiful. This is a traditional Japanese wedding ceremony that has been prepared since ancient times, and the ceremony expresses a wish for the long-living happiness and prosperity of both families. 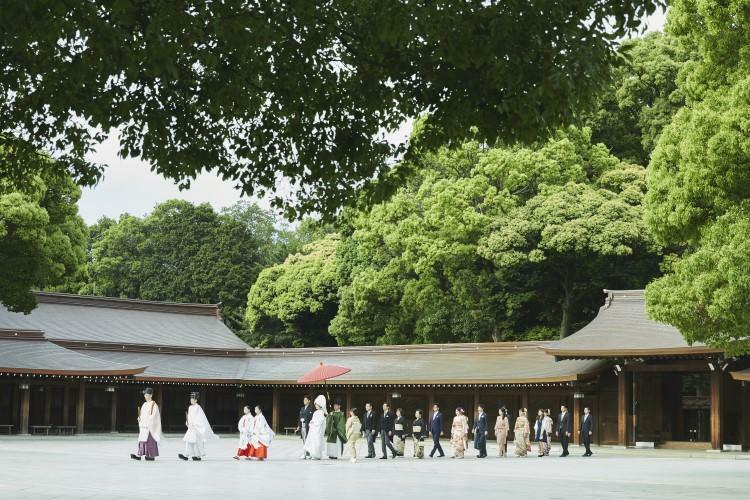 Bridals on Forest Terrace Meiji Jingu.